The end of year Bankers Club Bi-Monthly Golf Tournament will take place at Glenmarie next Thursday 2nd December with an 8.00 registration for 8.30 tee-off. Ticket price for Guest of Members is RM250 – this to include Green Fee, Buggy & Caddy on a twin-sharing basis, Insurance, Refreshments and Prizes. Those of you up for it let ANDREW know asap – the flight will be filled on a first come first served basis. Next week is the Trophy Game for the month and we will return to TASIK PUTERI for the final time this year. With so much rain about, this is a course that drains well – and we can all go off to the ever dependable Equatorial Restaurant for sustenance afterwards. RM100 per person will be collected per person on arrival. Please let ANDREW know asap if you will be playing and be there by 7.30 latest. Lunch was taken at the club and pretty awful it was too! Very slow service and poor food – although the rather senior looking policemen taking luncheon at a nearby table were being attended to promptly, funny that? And although there is plenty of beer in the club, it is only available in the enclosed air-conditioned bar which does not open until 16.30 hrs! When the bill came we were charged for 10 meals instead of 8, which led to the bill being recast and a further delay. Hans was not looking his normal vibrant self, adn refrained from solids due to an upset stomach following a dodgy tandoori the night before. And it bucketed down with rain as we left the club and we got snarled in city centre traffic jams. Opinions on the course varied – but the general feeling was that once or twice a year would more than suffice, but only in the dry seasons and with F&B taken elseware after the game. On the upside, it is right in the centre of town and compared to most courses we play there are significant savings in time, gas and tolls. There was a RM20 carry over. (And PLEASE NOTE that the RM157 deficit from the previous week was generously borne by Ray RM100 and Andrew RM57). Excitement is building as the inaugaral Cannons Xmas Lunch at the Coliseum Cafe & Hotel on Friday 10 December edges nearer. Vincent booked himself in and payed the requisite RM100 deposit. So we are now up to 14 punters, and hopeful of a few more..? The question of wearing antlers and full Santa outfits whilst swanning down Jalan TAR on the way to the Coli was hopefully dealt with in Mike’s latest signal? And dont forget that sumptious accommodation is available at the Coli at very reasonable rates for the astute Cannon, who (heaven forbid! ), overly imbibes on the day. 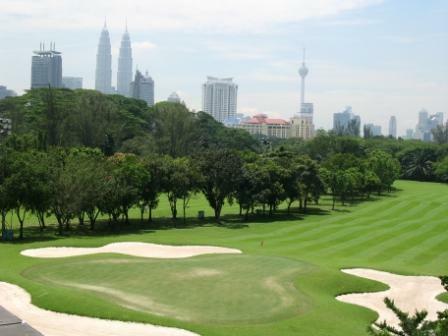 By way of something completely different, next Tuesday 23 November we will play at TITIWANGSA GOLF CLUB. 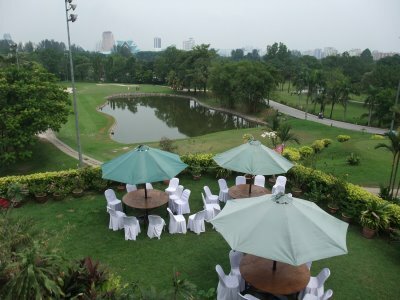 This is the 9 hole police course situated off Jl Tun Razak on a wooded hillock adjacent to Lake Titiwangsa. We will go twice round playing off different tee boxes for each 9. Its not especially cheap, so I will be collecting RM100 per player on arrival to cover the golf. We will take lunch at the club where there is no shortage of amber nectar. Please confirm your participation by email direct to ANDREW and PLEASE BE THERE BY 7.15 LATEST. Lunch was taken at the club where we celebrated Ray Funnel’s 64th birthday. Ray kindly donated 3 bottles of white wine and there were another couple of bottles of red, together with some Chivas. The throng rose to sing Happy Birthday, replete with some Tony Morris embellishments. And the club provided a cake with 5 candles, which Ray managed to extinguish on the second attempt. With RM547 still in the kitty, the CPTCA was taken aback when the bill came for RM704! This was inflated by the quite unexpected corkage charge of RM30 per bottle of wine. Thus there was a deficit of RM157. By this time there were only 2 of us left so a whip round was not possible…..the debt collector will be knocking on your door! Income: B/FD 22, collection RM100 x 15 – total RM1522. And please note that Tuesday 7 December is a public holiday. Accordingly, the game that week will most probably be on Wednesday 8 December and at Saujana to celebrate Kevin’s 60th. To be confirmed a tad nearer the time. We have 10 signed up as I write but are hoping for several more. From the feedback I am getting some of you are baulking at the “mandatory” requirements and others are wondering why we aren’t getting turkey, roast spuds, Christmas pudding etc. etc. 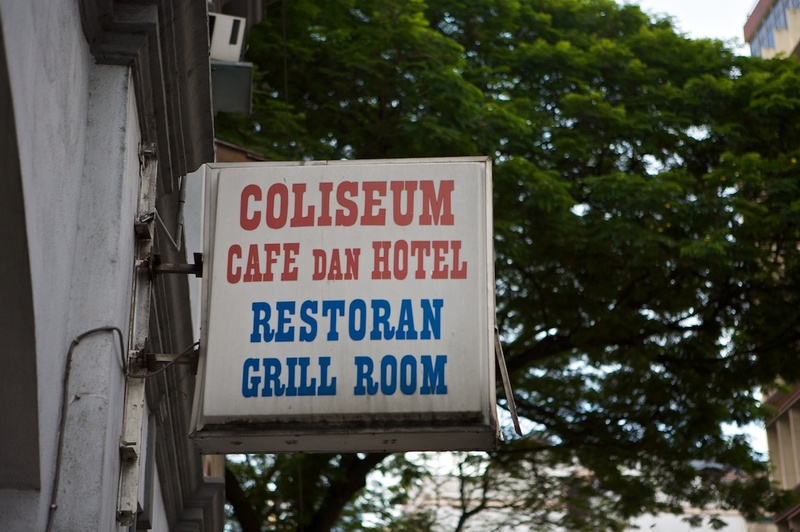 Well, the Coliseum don’t and won’t do Turkey etc., so we have to make do with what they do provide which has a certain colonial nostalgia about it and happens to be quite good fare. For those of you who believe you are too grown up to wear a santa hat in public or too wimpish to stand up and in some way entertain your friends for a couple of minutes, even if it’s only to wish them merry Christmas, I have softened the programme as modified in green below. So now get your finger out and sign up for the inaugural Cannons Christmas Lunch. Arrangements for the CHRISTMAS LUNCH at the Coliseum are finalized. Please make a diary note now and enjoy what should be a very entertaining day, evening, night……….Ahh. During lunch you will be expected to wear festive head ware (Santa hats, Antlers etc.) or the paper hat from the crackers. Santa beards are optional. You are asked to contribute to the festivities by singing a song, telling a joke or otherwise entertain your fellow Cannons for a few minutes during lunch. & spuds in a thick gravey and you all dig in. Each person to bring one Bottle of good wine or other beverage of their choice. MANDATORY. Those wishing to provide a nice bottle of something stronger in addition to the bottle of wine are very welcome to do so. We require RM100 IN ADVANCE towards the cost of lunch, drinks, corkage and festive accompaniments. We expect this will be enough but if we are short we will have a whip round. CONFIRMATION of ATTENDANCE. We need to know IN ADVANCE how many to cater for. Please respond via Email ASAP with your CONFIRMATION. Please make payment in CASHto Andrew Robinson at the next game or myself at your earliest convenience not later than 30th November 2010. So, YES you can get BEER and NO you don’t have to walk down Batu Road in antlers and NO you don’t have to wear blue jeans and PLEASE make an effort to learn a few lines to entertain your pals and help the party swing. Looking forward to seeing you all at the Coliseum on the 10th December. Assemble at the Bar at 12:00 noon where drinks will be served on a running tab. Lunch will be taken at 13:00 in a reserved and private area in the back room of the restaurant. 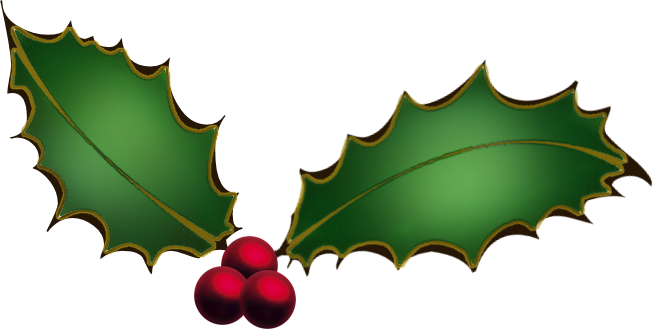 Blue Jeans, Tee shirt and festive head ware (Santa hats, Antlers etc., MANDATORY) Santa beards are optional. You are required to contribute to the festivities by singing a song, telling a joke or otherwise entertain your fellow Cannons for about 5 mins during lunch. MANDATORY. Each person to bring one Bottle of good wine. MANDATORY. We need to know IN ADVANCE how many to cater for. Please respond via Email ASAP with your CONFIRMATION. Please make payment in CASH to Andrew Robinson at the next game or Mike Smith at your earliest convenience not later than 30th November 2010. Next week we will play BUKIT UNGGUL and celebrate Ray Funnel’s 64th birthday. Ray has promised to bring along a case of fine claret and the half bottle of Chivas left over from Alan Holgates birthday bash at the Equatorial will also be on the table. Please confirm by email asap if you will be playing, adn be there by 7.30. Lunch was taken at the club as it was included in the ‘package’, and it was pretty good. Two Club Privilege Cards were issued giving us a preferential rate of RM400 per flight next time out, and valid for 6 months, so we will return. A few stragglers went on to the RSC Kiara Annex for a glass of wine……. 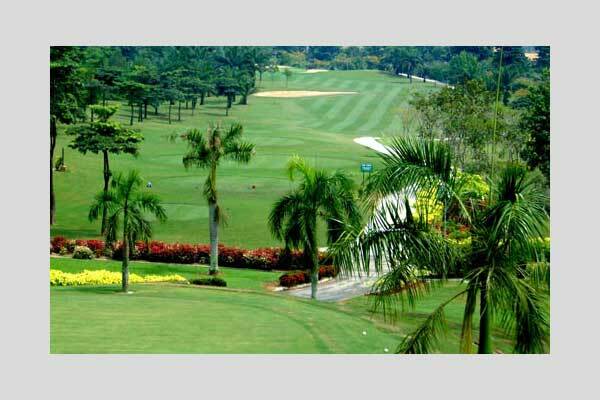 Next Tuesday 9 November we will play Kajang Hills Golf Club. This is a little more costly than most courses we play and so I will be collecting RM150 per head – but this includes lunch. And we need full flights to get the mid-week deal of RM532 per flight.